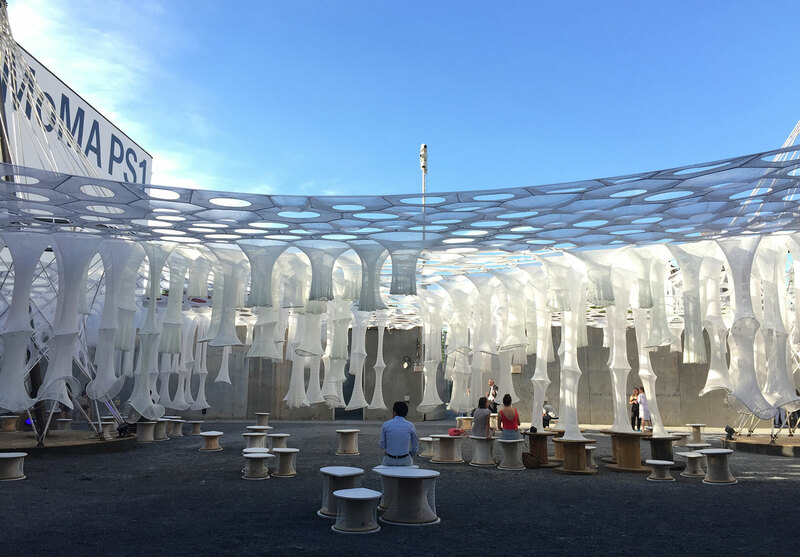 Last week, I spent a few hours at MoMA PS1 for a preview of its newest outdoor installation Lumen, an interactive canopy that responds to light and proximity. 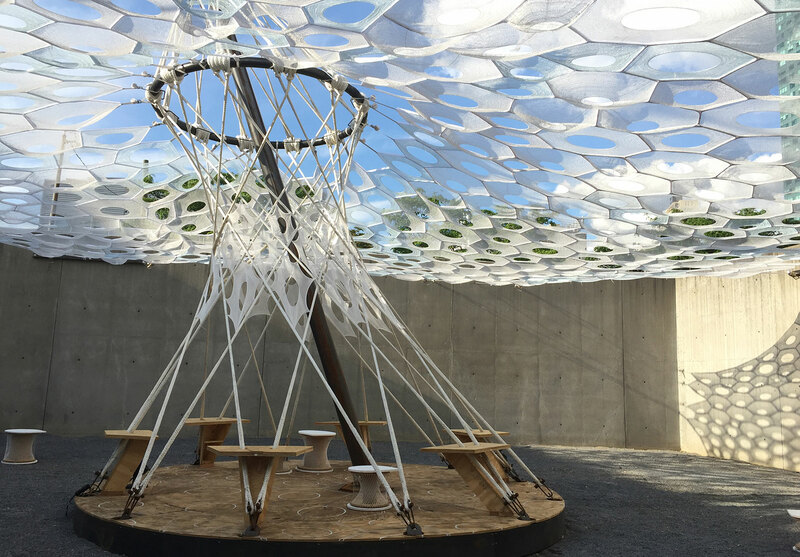 During the day, the hanging tubular structures float in the breeze, spray mists of water whenever someone walks near, and collect solar energy. 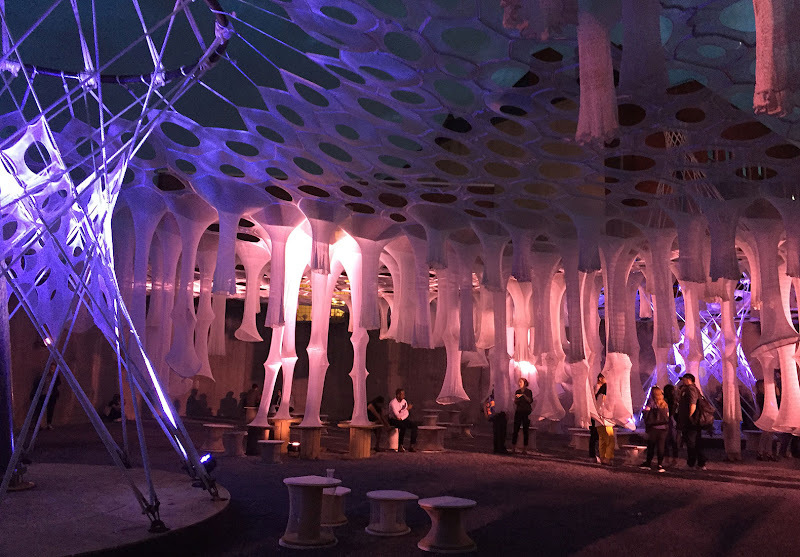 Come nighttime, the fibers glow and the courtyard makes an otherworldly transformation that will make an amazing setting for the museum's Warm Up summer concert series, which kicked off July 1. 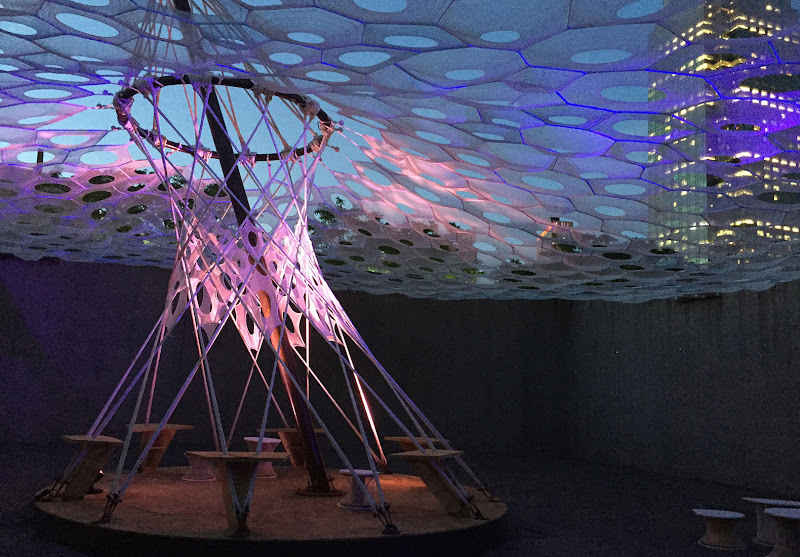 Lumen will be on view at MoMA PS1’s courtyard from June 29 though August 27. To read more about my visit and see the transformation via photos, click here.